The Mission of Chatfield College is to empower students who might best succeed within our supportive, small college experience. Success is demonstrated through the achievement of established learning outcomes in a liberal arts education grounded in our Catholic heritage. Chatfield graduates will be able to evaluate and integrate relevant information from a variety of sources. Chatfield graduates will be able to analyze and synthesize information and present it both orally and in writing. Chatfield graduates will be able to utilize computer applications. Chatfield graduates will be able to apply principles of the scientific method and the mathematical process. 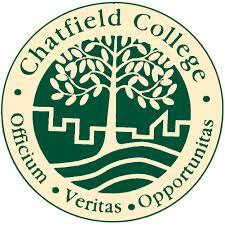 Chatfield graduates will be able to apply economic principles and interpret history and culture. Chatfield graduates will be able to analyze and evaluate ethical values and ecumenical beliefs and be able to seek their own.